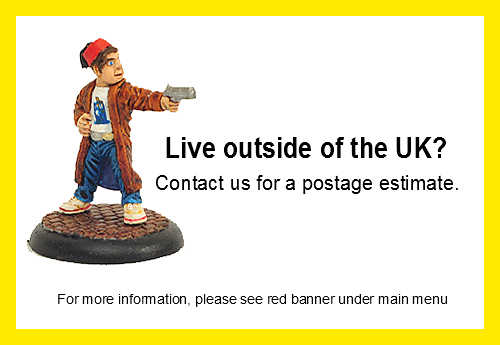 Click on images for a more detailed photo or information. 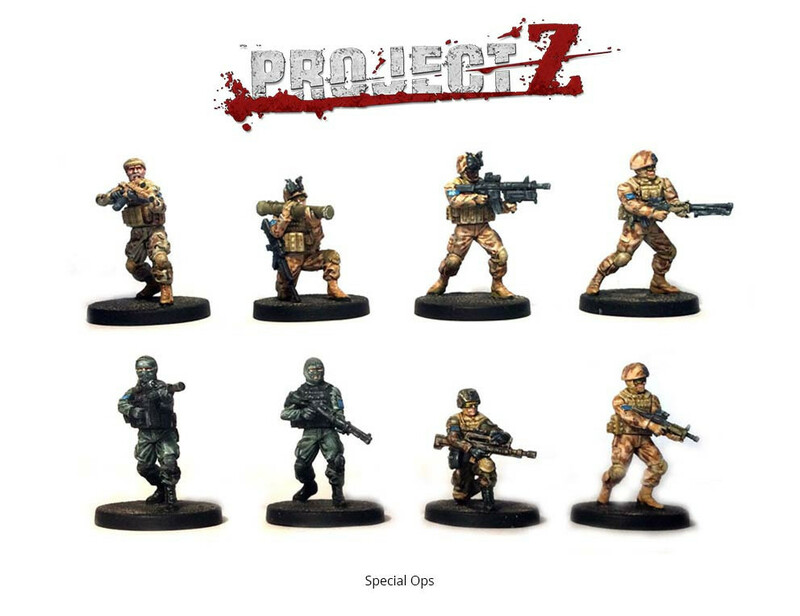 All created by Warlord Games. 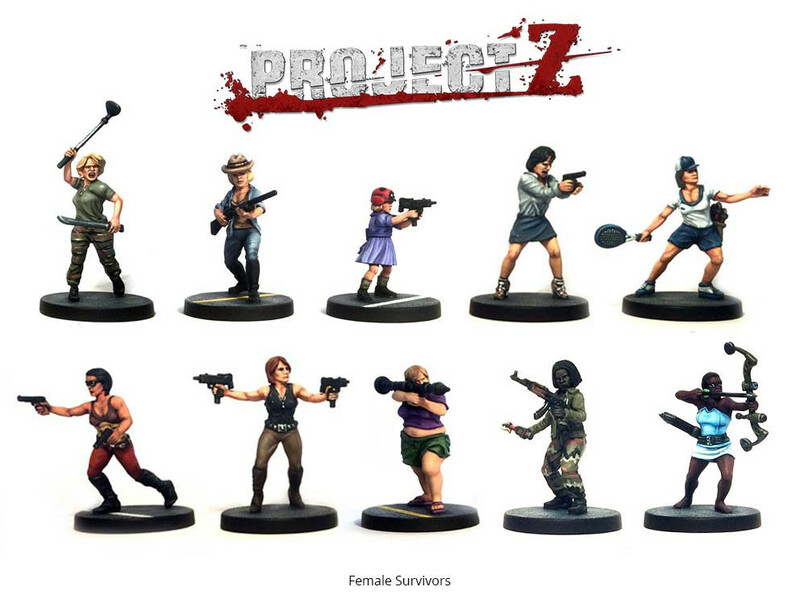 Contains 10 female survivors plus the weapons options sprue for more variety. 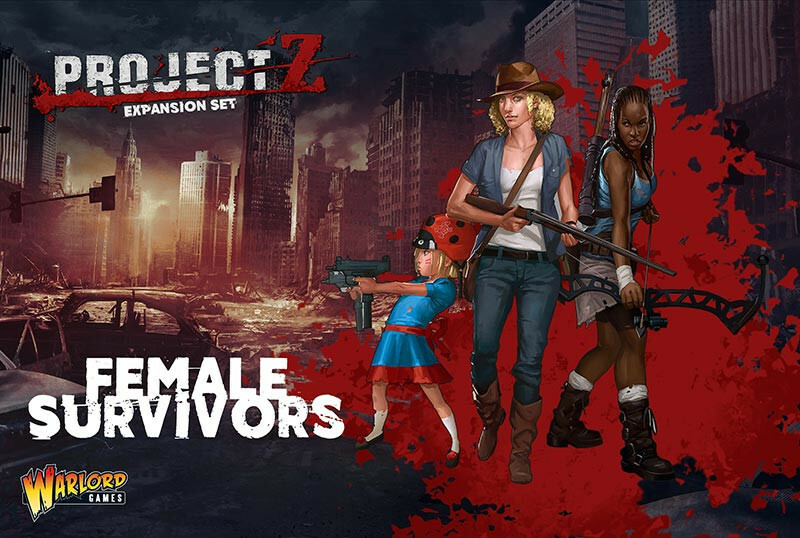 Our favourite is Bazooka Big Momma! 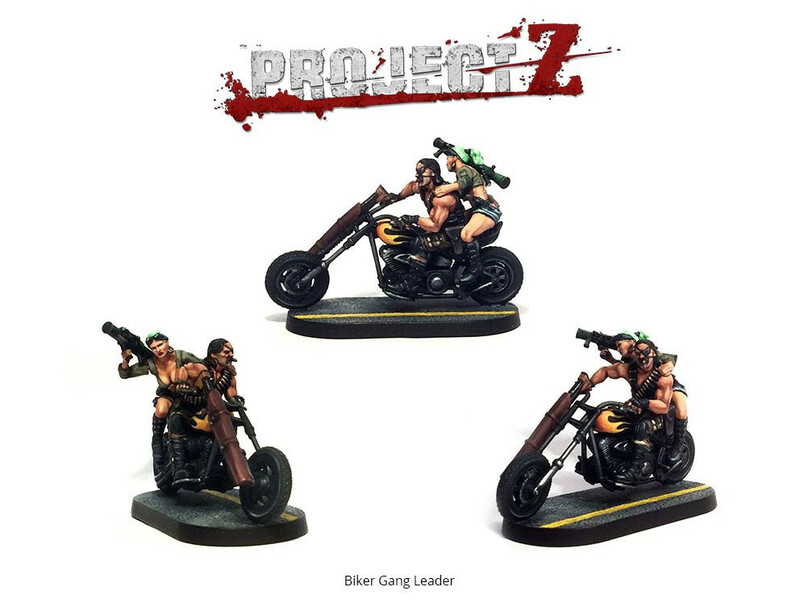 Contains parts to make 6 gangers including 2 bikes plus Gang Leader model with pillion rider (and lots of weapon options!). 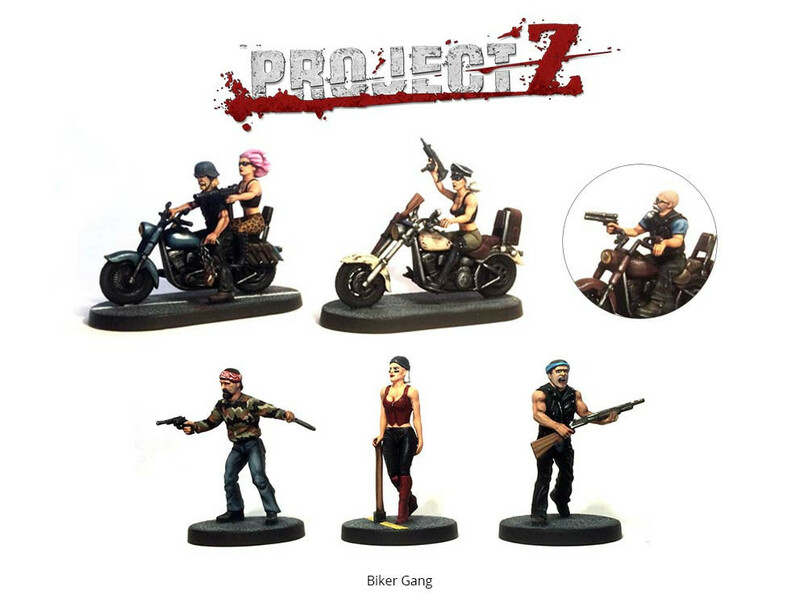 Project Z is a skirmish wargame for 1 to 3 players taking control of Survivors or a Street Gang fighting to survive against the environment and an ever-growing horde of Zombies. 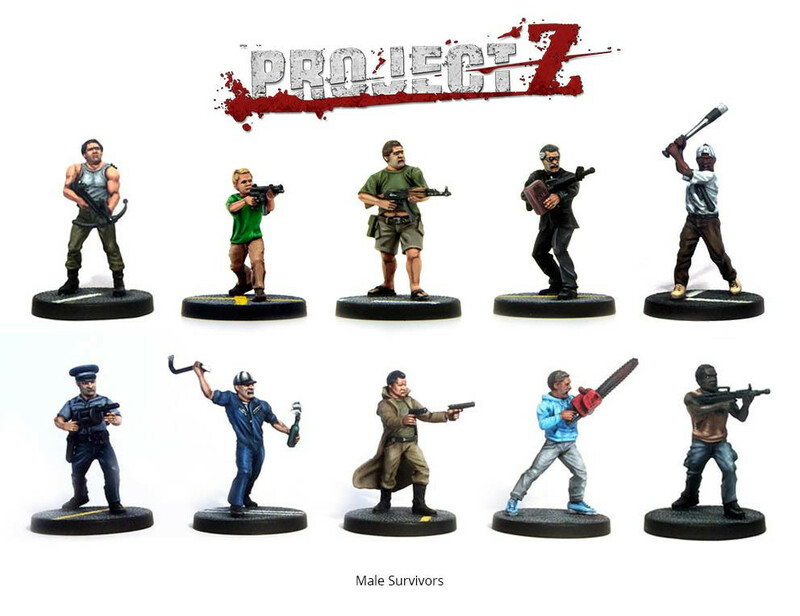 Project Z is a fast and easy to learn game containing plastic models, rules, counters and specially designed dice and cards. 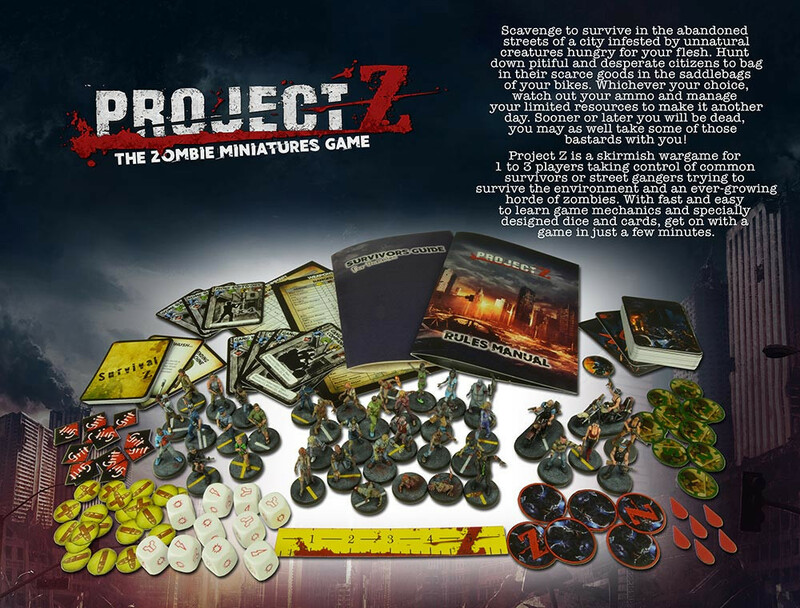 Includes 23 Zombies, 10 Male Survivors, 6 Biker Gangers (inc. 2 motorbikes) plus rules, dice, cards and counters. 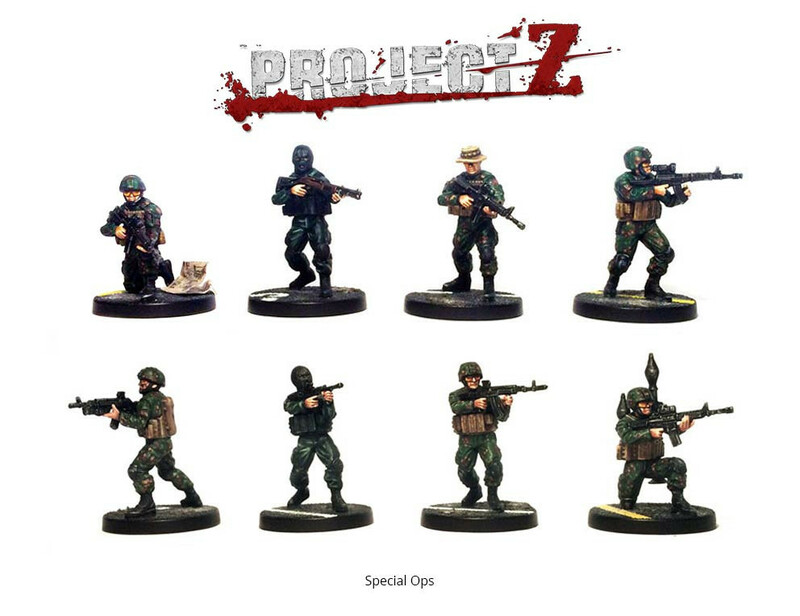 Require painted and assembly. 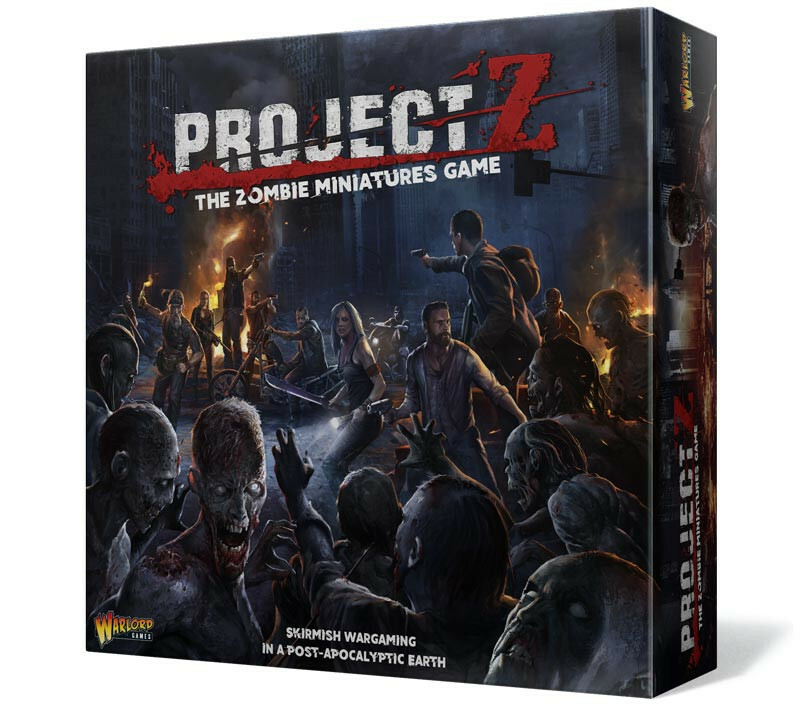 Contains 23 Zombies - every one completely individual. 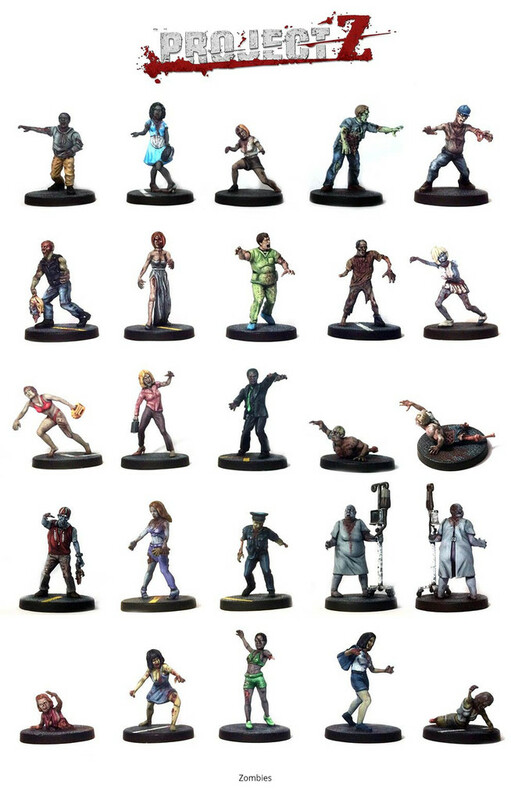 Don't miss Hospital Patient zombie, Roadkill zombie and Baywatch zombie! 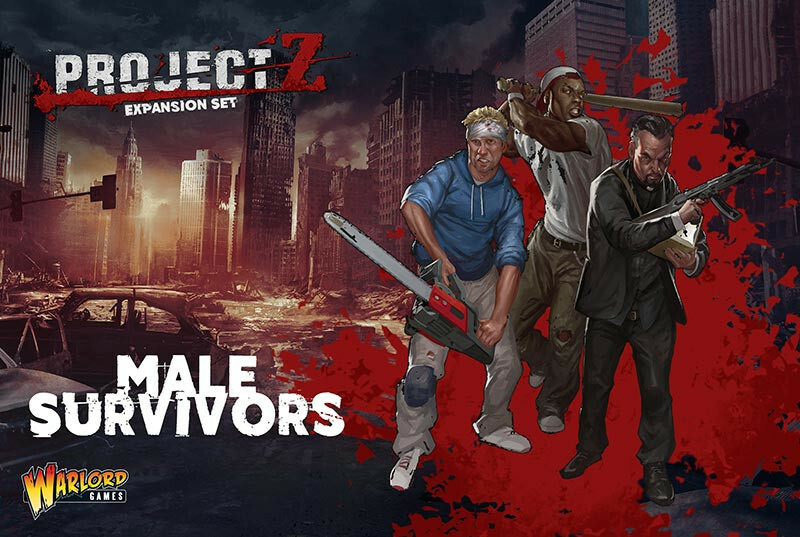 Contains 10 male survivors and includes a weapons options sprue for even more variety. 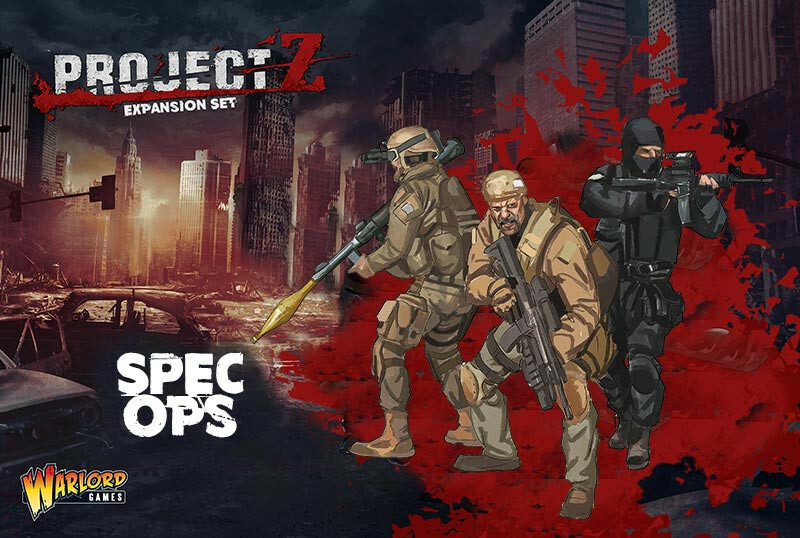 Contains 8 Spec Ops soldiers with a fantastic range of heads, weapons and gear. 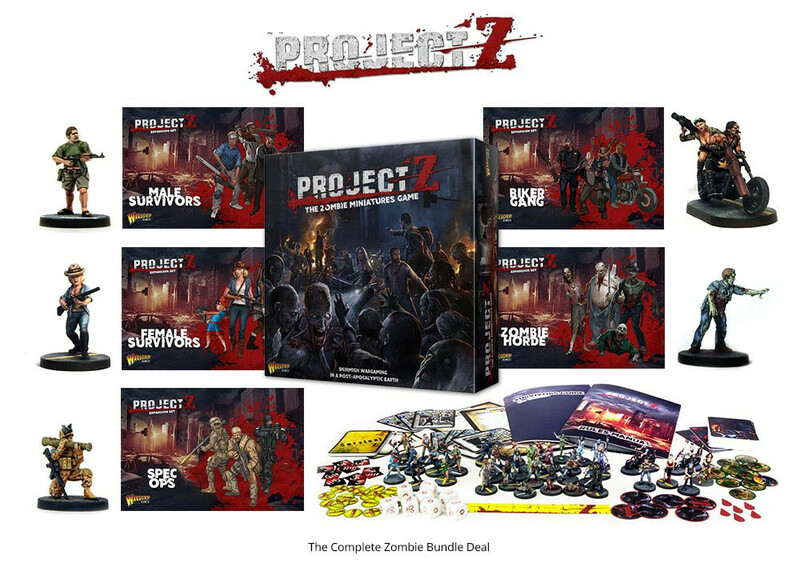 Project Z Complete Bundle Deal!! 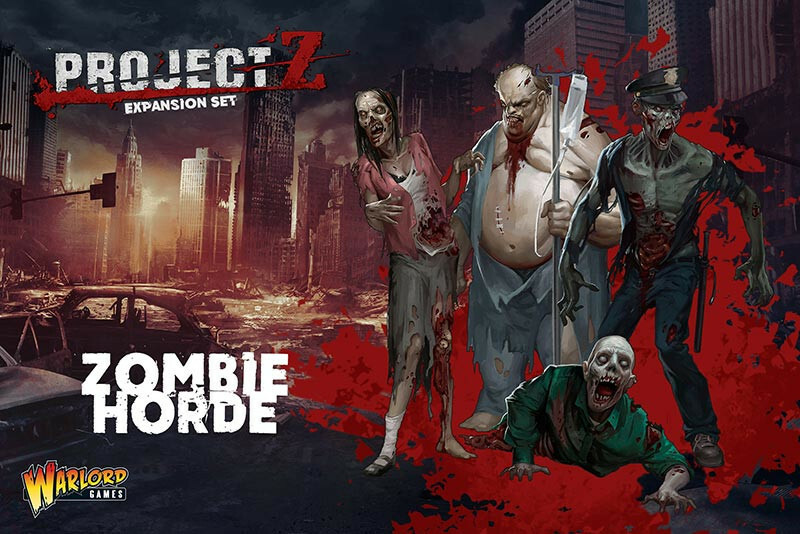 The Complete Zombie bundle deal contains the full Project Z range above. 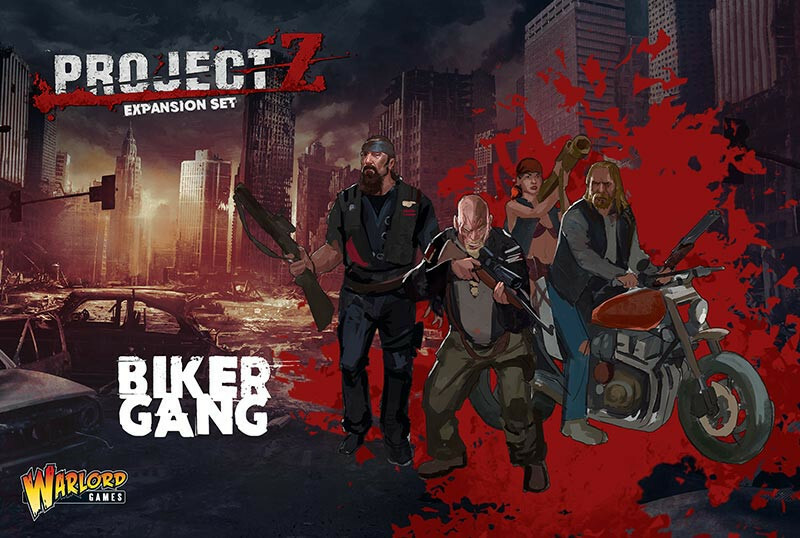 Contains: Project Z Game and all 5 expansion packs.